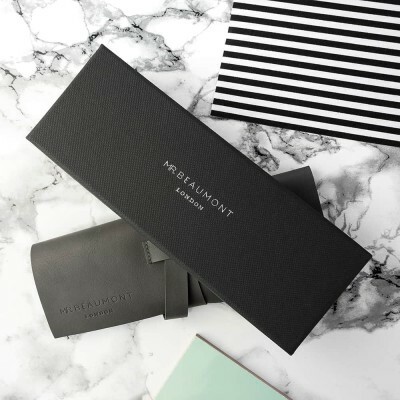 Mr Beaumont watches are modern in design but with classic, timeless touches - making them a gift that will stand the test of time. 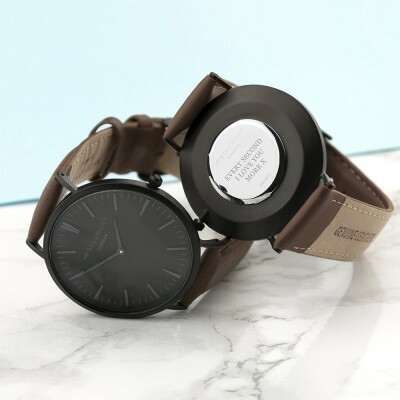 Made from genuine leather and with a large 41mm dial with metalic silver details this watch certainly makes a statement. 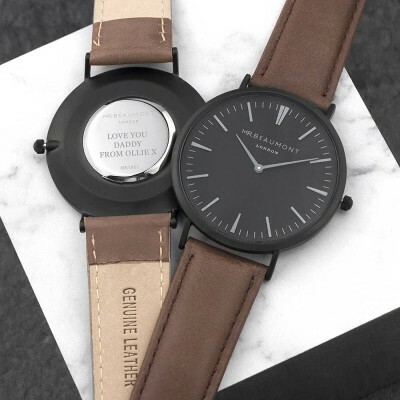 Personalise the watch on the reverse with a message up to 5 lines.